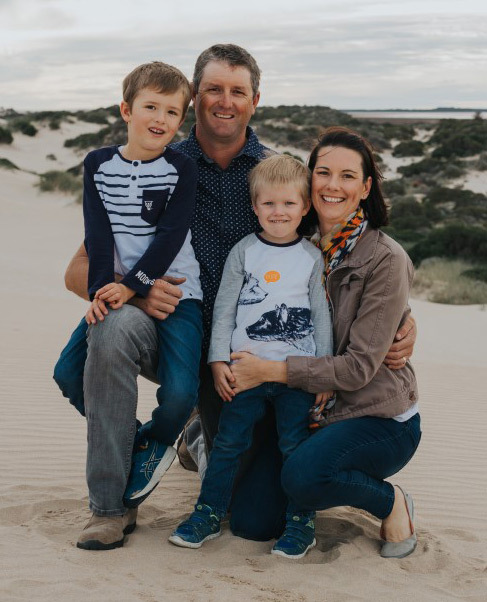 Tim and Sam bought the Port Gregory Caravan Park in 2011, moving from Perth for the long dreamed of ‘sea change’. Along come the boys Buddy and Duke, a dog called Roger and the Old Boy (Ray). Tim is a boilermaker by trade, and worked off-shore for many years before coming back to work in the park with Sam full time in 2015. Sam managed a travel agency in Perth prior to coming up to Port Gregory. We both love our little fishing village, and the wider community of Northampton, and are actively involved and support our local sports teams, the boys primary school and other community groups. Always happy for a chat and to help anyway we can, we would love to host you in our park.